Soar over Aspen in a hot air balloon, plan a family adventure, head out hunting or fishing with a knowledgeable guide and more. 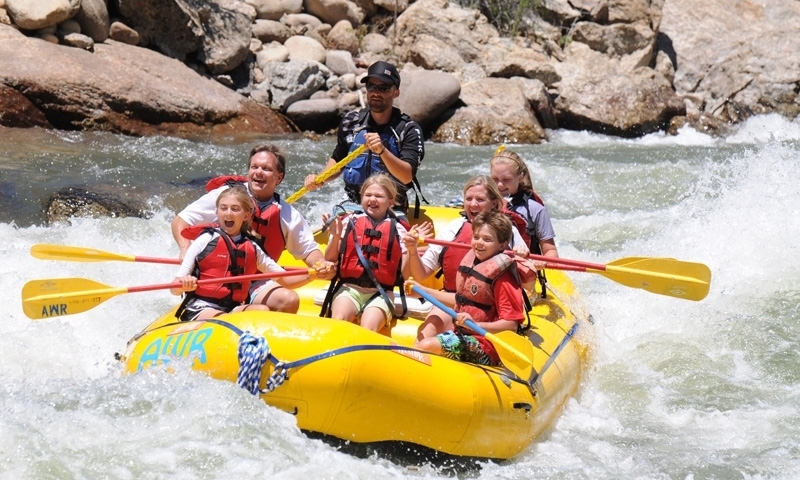 Hire a guide to take you and yours down Roaring Fork River rapids or travel to sections of the Arkansas and Colorado Rivers for more rafting fun! Pedal your way through exceptional terrain for both mountain bikers and cyclists in a haven with a singletrack or cycling route for everyone. 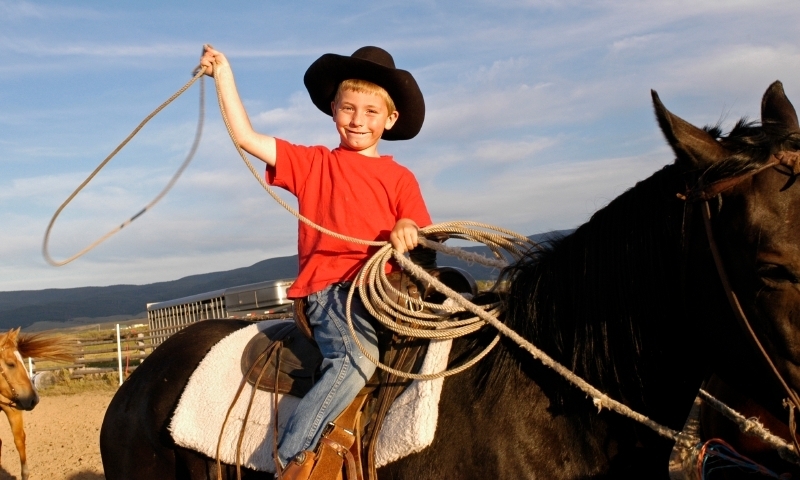 For an authentic Western horseback ride, hire a local outfitter to take your family on a trail ride in the breathtaking Aspen mountain backcountry. Hook your kids on the outdoors with Aspen outdoor adventures ranging from hot air balloon rides to wet and wild whitewater rafting. 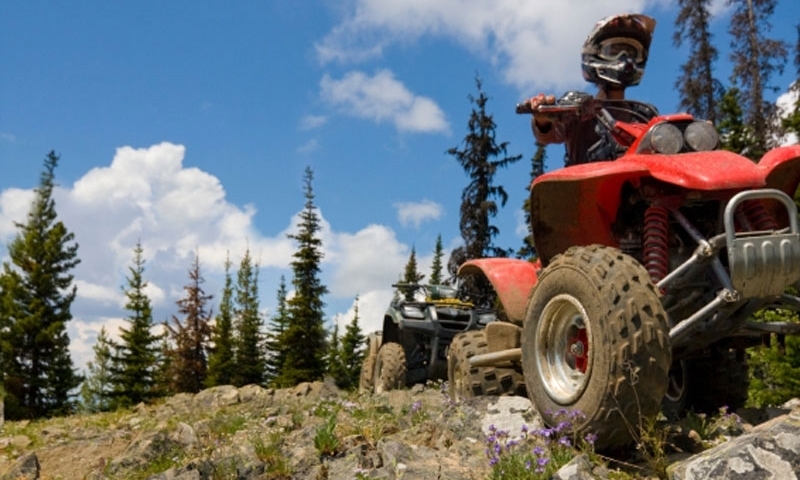 Drive through mountain meadows and up rugged ridges in an ATV, UTV or other 4-wheel drive vehicle to go higher than you through possible. Outdoor enthusiasts rejoice! Aspen, Colorado beckons you with a list of activities that's endless (hiking, biking, paddling, rafting, golfing . . . ). There's an adventure suitable for every fitness and skill level. 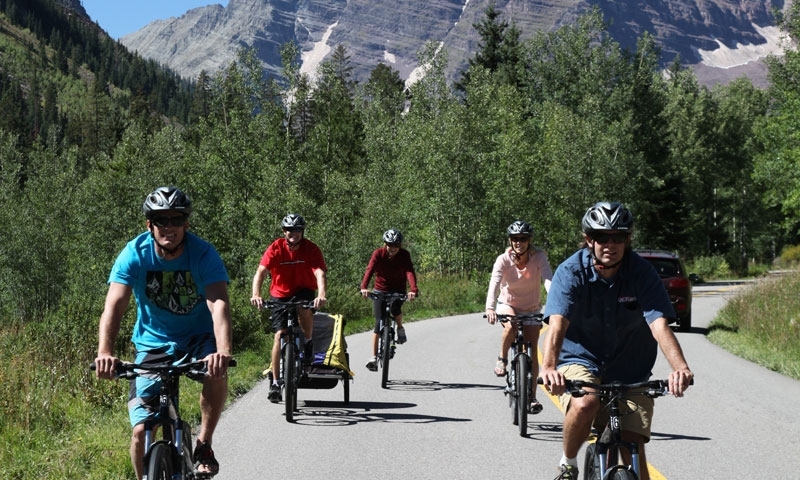 With nearly as many miles of terrain open for ATV riders as for hikers and bikers, Aspen offers unbeatable recreation opportunities for those who want to get off their feet and onto a 4WD vehicle. Hundreds of miles of trails await those interested in road and/or mountain biking. There's something for the novice as well as the ultra-competitive rider (and everyone in between!). Locals with decades under their belts are still hard-pressed to say they've done it all. Imagine what that means for the traveller looking to take a hike! Bag a "fourteener," take a multi-day, multi-peak trek or spend the afternoon exploring routes on the Grotto Wall. Grab your flyrod and waders! Aspen, surrounded by gold medal winning trout streams, is a fisherman's paradise. Come, live the dream. 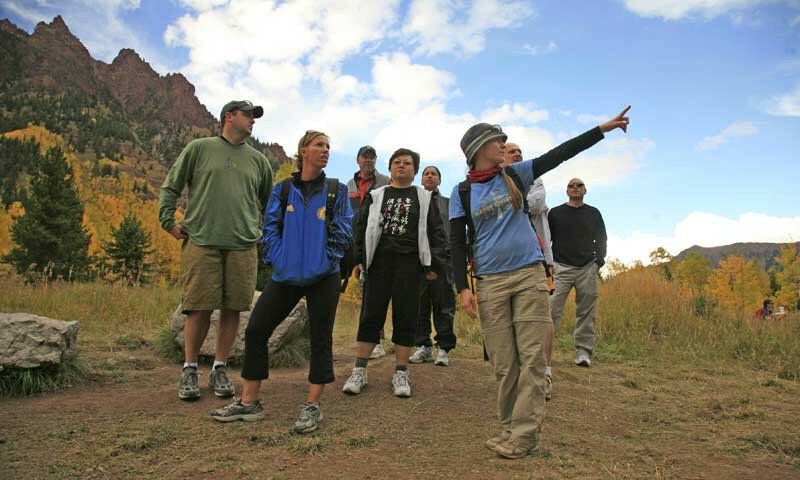 Aspen offers award winning public and private courses with unparalleled scenery. Check out which course best suits your vision of a day on the links. Make the most of your outdoor adventures by hiring one of the area's many experienced guides. Local expertise cannot be beat! The world is your oyster! And Aspen's many nearby mountain peaks are the pearls! Customize your adventure by taking a half-day, full-day or multi-day trek into the surrounding wilderness lands. 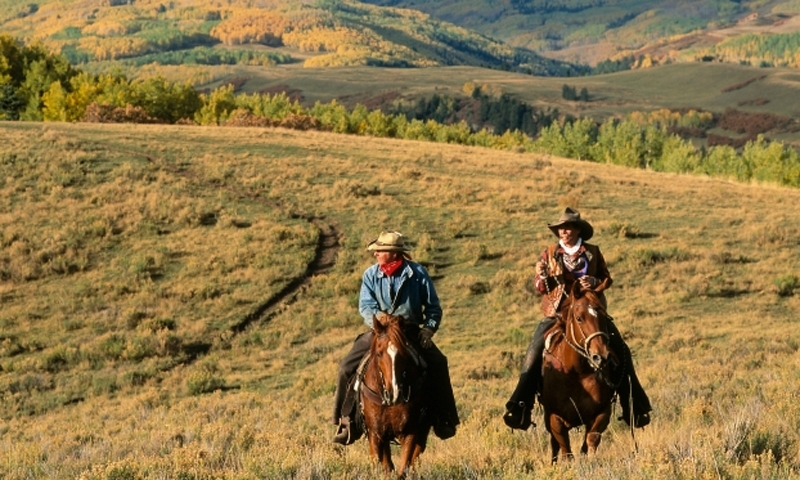 There's no adventure more authentic to Colorado than a Western-style trail ride, and local outfitters offer rides that will give you a glimpse into Aspen's Wild West past! Whether you have your sights on big game, small game, game birds or waterfowl, the wilderness lands surrounding Aspen offer hunting grounds for them all. Just be sure to educate yourself on permits and season dates, as well as other rules and regulations, before you head out. Put-in at Ruedi Reservoir for paddling fun or head to Roaring Fork River to test your whitewater kayaking prowess. Options are endless for those seeking a new experience and an athletic challenge. Approaching from all directions, Aspen offers mountain pass roads that will leave even the most road-worn biker in awe of the area's beauty. Independence Pass road is just one of several epic roadways worthy of a ride. Looking for a new perspective? How about a bird's eye view? Professional outfitters can suit you up for some tandem paragliding, a scenic flight, a glider ride or a hot air balloon ride! The ultimate summertime activity, whitewater rafting offers thrills and chills. It's the perfect way to beat Colorado's summer heat. Contact any local outfitter for a trip down a stretch of the Roaring Fork, Arkansas, or Colorado Rivers.